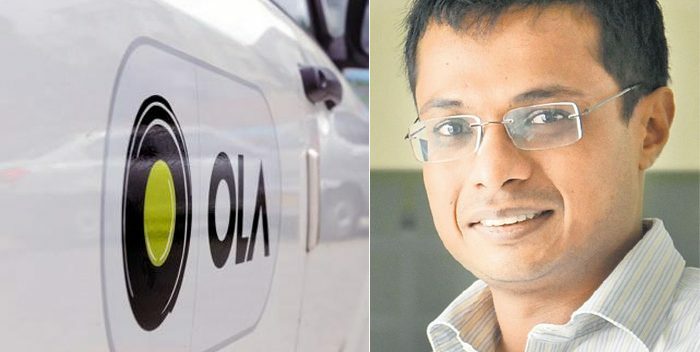 Flipkart Co-Founder and former CEO Sachin Bansal may invest up to ₹740 crores ($100 million), in the Indian cab-hailing giant Ola, as reported by Economic Times. If the investment comes through, it would be the largest personal investment in the Indian internet space. The deal has not yet been confirmed either by Ola or Sachin Bansal. Walmart‘s acquisition of the Indian e-commerce behemoth Flipkart, in a massive $16 billion deal, reportedly, helped Bansal accrue around $1 billion, after selling his entire stake of 5.5%. The investment will be worth 10% of his total earning earnings from the Walmart-Flipkart deal. Sachin Bansal has been an active investor in the Indian startup ecosystem, backing a number of startups, a majority of his investments were early-stage, ranging from $1-2 million. If the reports are to be believed, the Bansal’s investment in Ola is expected to be largely through subscription of new shares of Ola, with a small component coming through a secondary sale by existing investors. With the investment, Bansal is expected to enter as a small but significant shareholder in Ola. Sachin Bansal and Ola’s founder Bhavish Aggarwal have a good relationship since the two came together to raise concerns over how domestics startups did not have a level playing field with their deep-pocketed global rivals like Amazon and Uber. Later, the two banded with other local startups and entrepreneurs to launch an industry group called Indian tech. With the entry of Bansal as an investor in Ola, will further strengthen Aggarwal’s position and control in the cab-hailing startup, with the foreign investors holding the majority take in Ola. Earlier in August, Sachin Bansal had come in support of differential voting rights for Indian entrepreneurs, to help them gain more say and decision making freedom. It was also reported that Bansal was in talks to launch a $1 billion venture capital, fund to invest in Indian startups.